Buy these resin basketball awards online and get great value for money, custom engraving service, fast turnaround on your order and low, fixed cost UK delivery. 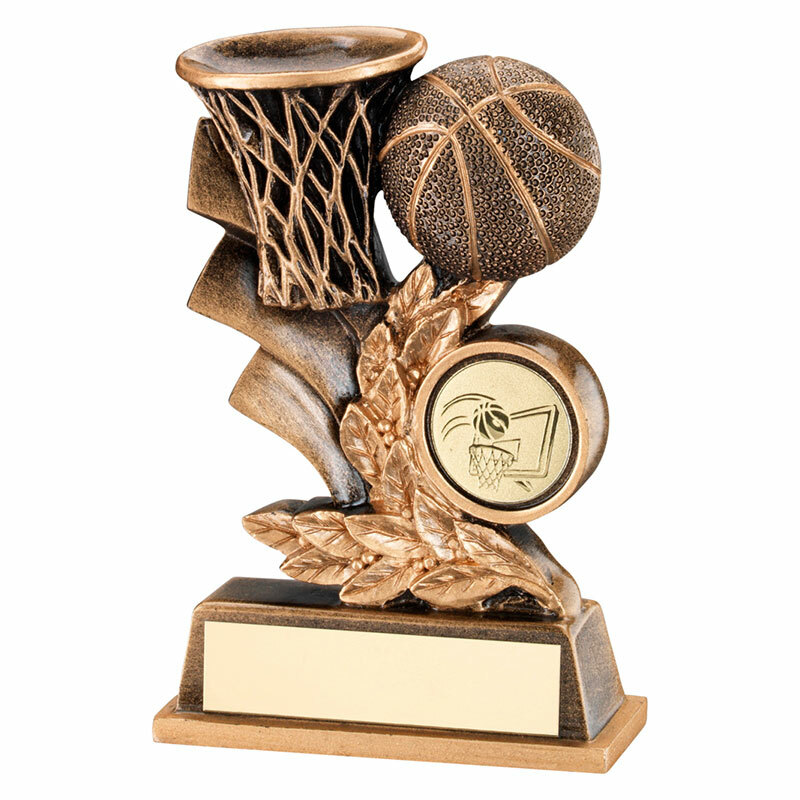 These affordable basketball trophies feature a scene including a laurel wreath, basketball centre, hoop and ball. They are mounted on a bevelled base with an engraving plaque and offered here with low cost engraving of the base. 5in (127mm) tall.